Do you know a child with autism who isn’t able to communicate basic wants and needs? Does the child lack the social skills to participate in social interactions? 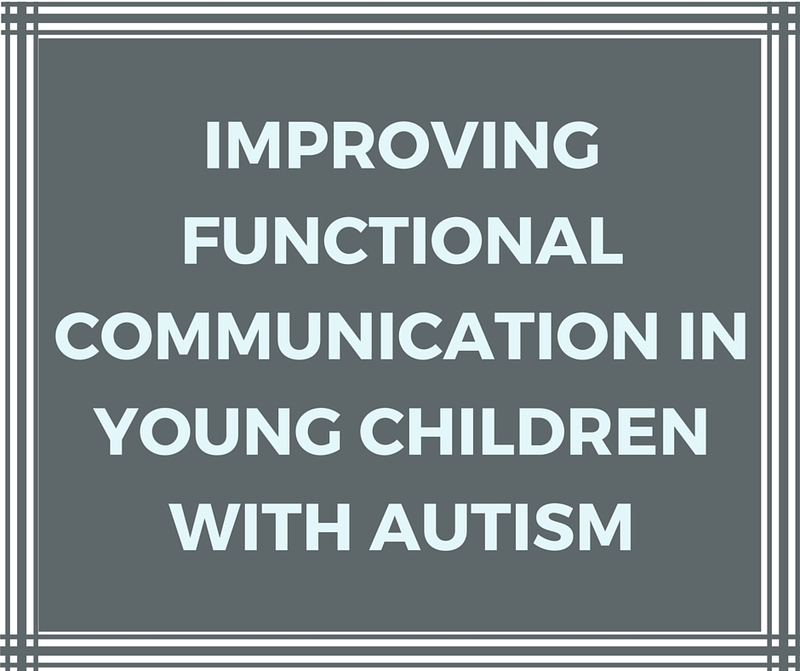 Do you need a guide for how to improve functional communication in a young child with autism? Well don’t you worry, you’ve come to the right place! 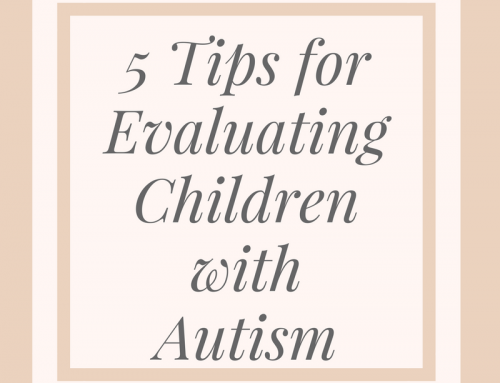 I’m going to show you the top four skills to start targeting to improve functional communication in a young children with autism or suspected autism. Let me show you what those four skills are and how to work on them. Click “play” on the player below to hear the entire episode, or scroll down to get the show notes below. Step One: Will Speech Work? When the child uses natural gestures or body language to communicate with those around him. This often happens naturally but may need to be taught if the child isn’t even doing this. Simple objects or small 3D models of objects are glued to cards or a board. The child then touches the object that represents what he wants. 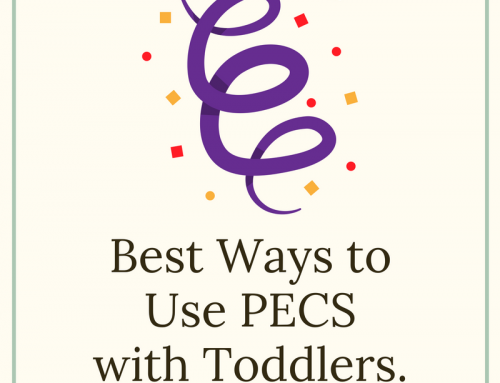 This is ideal for children with vision or cognitive problems. The child is given a simple board with a selection of pictures. The child touches the picture that represents what he wants. The child hands a picture that represents what he wants to the communication partner. The child writes or types a message on paper or on a computer/screen. The child is presented with a single button. When the button is pushed, a single message is spoken out loud (pre-recorded). The child is presented with a device that contains several buttons. Each button represents a different communication intent and the student pushes the button to hear the message. The child is presented with a device that has a touch screen full of buttons. When the child pushes a button, a message is spoken or the entire screen changes to present different buttons based on the one pushed. Need More Help with Autism? Get answers to all of your questions about working with children with autism and more by joining The Speech Therapy Solution, Carrie Clark’s premium membership program. You’ll get access to all of Carrie’s training videos and printable therapy materials, questions answered directly by Carrie, plus a monthly webinar and an exclusive Facebook group! Join today! Any suggestions on how to help a child use words instead of whining or growling when he does not like something? Outside of that though, you’re just going to have to teach him explicitly what to say instead and the provide him with reminders and visuals to help him remember to use those words when he gets upset. You can also use social stories or video modeling to show them how to do it. Love your resources, very useful! Hi! That’s great that your son is showing you items he wants! You should work with a speech-language pathologist directly who can help you identify the best next step for him! Hello! I definitely recommend that you work with a speech-language pathologist in your area who can determine what the best course of action is. I cannot assess and treat via online! You’re welcome! I hope the steps in this article will be of help to you in working with him. 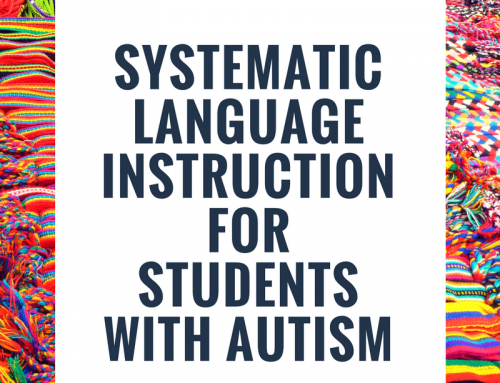 If you still need more assistance, a speech-language pathologist in your area or in your local school district will be able to help determine exactly what he needs! Hi Carrie! I am a special instructor for early intervention and have been loving your info. I have been making photos of favorite foods for families to place on the refrigerator for the child to point or hand when they want something. I have one little girl who has responded quite well to this, but she has begun using it as a game with her family – pointing and waiting for their praise. Any ideas for how to help with this? I suggested that they keep the photos put away until it is meal time and then use them for requesting, or, that they work on helping her to learn what no means as they would a child using words to ask for things. I haven’t seen this in action so I probably also need more information. Thanks! Hey there! We never recommend putting away a child’s communication system because that would be like turning off his/her voice. Instead, we do just what you said and allow them to use that as a means to communicate and connect with her family (she probably doesn’t have another way!) and then just kindly let her know when those things aren’t available or aren’t a choice. Just like a child who is speaking (like you said). It’s so important to acknowledge those communication attempts, even if she’s not using them at the correct time or in the appropriate way. We want to encourage her to connect in whatever way she’s able to right now! 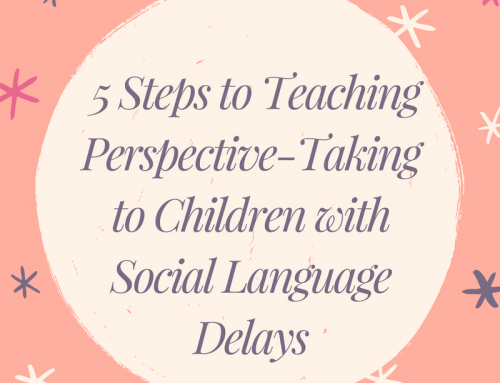 Here are a few resources Carrie has on late talkers that may be of some help. Please let us know if you need anything else.